Crack the code for your students’ success! Future-ready students need to be creative. They need to know how to communicate their ideas and how to collaborate as problem solvers. To master these and other twenty-first-century requirements, they will need to be critical thinkers. You don’t have to be a “computer geek” to empower your students with these essential skills. 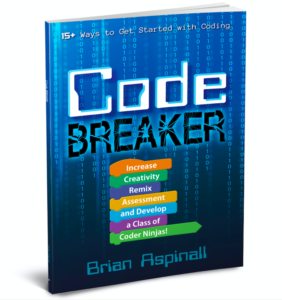 Code Breaker equips you to use computational thinking and coding in your classroom – regardless of your computer skill level – to increase creativity, remix assessment, and develop a class of coder ninjas!